When we travel, we usually expect that the visit to a country's capital will be one of the highlights on the way. It was slightly different with Bogota, the capital city of Colombia. It is not the city you will fall in love at first sight, maybe not even at the second one. 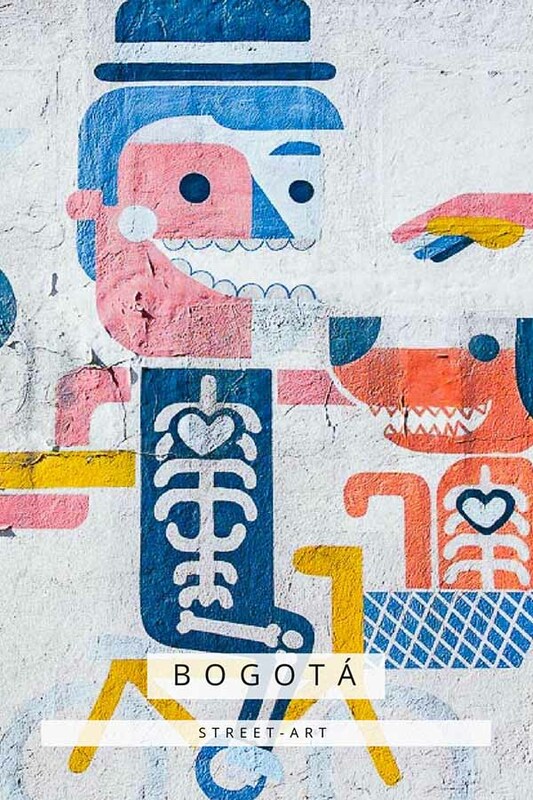 But after a while, you'll probably find out as we did, that Bogota, nestled between green hills, has nice colonial architecture, romantic cobbled streets in La Candelaria district, surprisingly good museums, cool street art and some modern architecture as well. Bogota with 8 million inhabitants is the largest and most crowded city in Colombia, especially on weekends, when everyone takes a family to the city center for a lunch and leisure stroll. The whole country, Bogota included, go through a complicated process to restore its reputation and to gain credibility and image of the safe and tourist-friendly country. Even though the situation is much better than it used to be twenty or ten years ago, the violent and drug-related history is not easy to erase and forget, and there is still a long way to go. Very often question when it comes to Bogota, Medellin or Colombia overall is safety. Although there's been progress in past years for sure, visitors still should follow simple rules to avoid inconveniences and use common sense. Do not walk far from tourist areas, it is always better to travel with someone, do not walk alone after dark and when possible, take Uber (the service is illegal in Colombia so it up to you if you want to use this service or regular taxi). Every city has an area which is better to avoid, but in Bogota, it was surprisingly close to the center. Once we didn't pay attention to where are we going and within 10 minutes we were in a neighborhood where we didn't feel comfortable at all and quickly fled. Also, pay attention to your belongings, even locals recommend to wear a backpack on your belly or at least somewhere you can see it all the time. Unfortunately, for the first time we travel, we were robbed, and it was right here in Bogota. I had a jacket around my waist, left a phone in a closed pocket, and some "professional" got lucky. So the advice is, enjoy the features city has to offer, but don't walk around light headed and always follow safety rules so your visit won't have the bitter taste. We also created article Is It Safe To Travel To South America? where you can find useful tips from our personal experience. 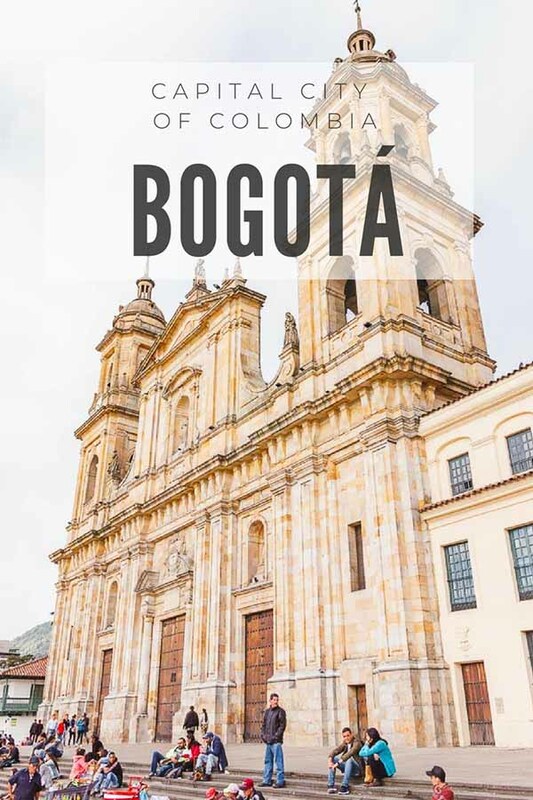 We spent five days in Bogota and had plenty of time to explore the best things to see and do in the city, and we think that you should definitely include it in your Colombia travel itinerary as there is so much to learn and explore. Here's a list what you should not miss. Also known as Gold Museum, Colombia's best museum and one of the best museums in South America displays more than 55 000 pieces of gold from pre-Hispanic cultures in Colombia. The entrance fee is only COP 4000, and it is free on Sundays, but we recommend to visit it on other days if possible as it gets crowded. We appreciated bilingual descriptions (Spanish and English) as it is not always common in Colombia. Bogota is among the best ten cities in the world, where you can find the street. There are even Graffiti city tours, and if you are more interested in it, you should join. We didn't need the tour to find colorful walls almost everywhere around the city, and it gives Bogota special lively atmosphere. The story of the legalization of graffiti in Bogota contains violence, death, Justin Bieber, protests and rapid changes of law. Generally, the story is colorful as Colombia itself, and that's why, in the end, all artists in the city are now grateful they have legal places where to express themselves and show their art. Bogota lies 2640 meters above sea level and even higher above the city, in 3152 meters, is towering a mountain with a sacred church, Monserrate Monastery. There are three ways how to get to the top of the mountain, from where are open views of Bogota. It is possible to take funicular, cable car or walk. We decided to stay active, and it took us about an hour and a half to get to the monastery. Cerro de Monserrate used to be a dangerous area where knifepoint muggings were no exceptions (it should be OK now though), but that's why it is still recommended to visit during weekends when the route is full with locals (we hiked up on Sunday, and there were hundreds or maybe even thousands of people, and we felt completely safe). We usually explore a city on own, but we found a company which does free walking tours around Bogota (donations are appreciated) and had a good rating on Tripadvisor, so we gave it a try, and now we can't recommend it enough. Tour with Beyond Colombia was well-organized, our tour guide spoke English very well, was knowledgeable, and we learned so much about the history of Bogota and Colombia as well. The Candelaria area in the city's downtown offers the mix of colonial buildings, cobbled streets, churches and modern architecture as well. Most of the Bogota's historical events took place in this district. It is easy to wander in narrow streets, lose track of time, sit in one of many coffee shops and taste traditional drinks such as chicha or chucula. When in La Candelaria, you shouldn't miss Calle de Embudo, Plaza de Bolivar, Primada Cathedral, San Francisco Church, San Augustin Church, or walk Carrera Septima street. Plaza de Bolivar is part of La Candelaria, but for its importance, we want to mention it separately. It is Bogota's main square located right in the capital's city historical center. The square is lined with buildings of high historical and architectural significance. There is the Primary Cathedral of Bogota on the East side, National Capitol on the South of the Square, Lievano Palace on the West (today's city hall) and the North side belongs to Palace of Justice, the newest building on the square which had to be rebuilt after it was completely destroyed by M-19 guerillas in 1985. Bogota is a lively city, and the best place where to observe the Colombian temperament is on Carrera Septima. The boulevard is a no-go zone for cars and thanks to it is full of street performers such as dancers, actors, singers or magicians who do their best to attract passing by people, get the appreciation for their artistry and make some money. Colombia is the world's largest producer of emeralds so no wonder that the capital city holds an exposition with the precious emerald collection. It is not allowed to take photos in the private museum you can take pictures only from the windows as the museum is on the 23rd floor of Avianca building and the views from here are nice. The entrance fee is COP 5000. The completely free museum consists of many collections especially of modern art, but the most famous part is the one dedicated to the work of Fernando Botero, the world's renowned painter and sculpturer from Colombia. His style is unmistakable as he plays in all his work with proportions and volume. We found his work a bit strange, but after all, we are not experts :). Nowadays, there are many hostels and hotels to choose from for every budget. The most recommended areas are the historic district, La Candelaria and a bit further a little bit upscale Chapinero area or Zona Rosa and Zona G, both also known for excellent food scene and safety. We stayed in Santa Fe, well-connected area to the city center and from here we could get everywhere on foot and didn't have to use any transportation at all. We've handpicked hotels for every traveler's budget. Budget | Hotel San Francisco de Asís - Located in Santa Fe district, close to most important sights in the city, this nice hotel is a great choice for budget travelers. Mid-range | Hotel Ibis Bogota Museo - Wonderful location right next to the national museum, modern clean rooms, and a buffet breakfast, make this hotel a great value for money. Luxury | Radisson AR Bogota Airport - Spacious, modern and comfortable rooms, great service, and excellent location close to the international airport. Free airport shuttle is provided.